Uptown Wadesboro, Inc. would like to encourage all Uptown property owners to participate in this program. For further information on eligibility and guidelines or to obtain applications, please call Uptown Wadesboro, Inc. at 704-695-1644. Or you may download the information sheet and application form below. The appearance and condition of the architecture in the Uptown Wadesboro business district is important to the entire town - to the town's history, image and economy. Because the appearance and condition also forms the basis of the public's overall impression of the Uptown business district, the upgrading and preservation of the buildings in Uptown Wadesboro are crucial to the continued livelihood of the entire community. The Uptown Wadesboro, Inc. Facade Grant Program provides incentive grants to business property owners and tenants located in Uptown Wadesboro to help with the costs of making exterior improvements to their properties. The goal is to improve the appearance of the Uptown area through a series of exterior rehabilitation projects that are sympathetic to the historic character of the Uptown Wadesboro area. 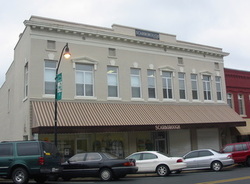 • to promote storefront renovation and restoration of commercial buildings in Uptown Wadesboro. • to encourage good design projects and workmanship. 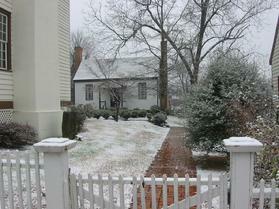 • to preserve Uptown Wadesboro's unique historic character. • to attract new businesses to Uptown Wadesboro. The first UWI Facade Grant was awarded in 1997 and since its inception, 31 grants have been awarded to Uptown Wadesboro businesses. To date, $25,788.82 has been awarded. The funds used to award the Facade Grants come entirely from grants from private trusts and foundations and from fundraising activities of Uptown Wadesboro Inc.
For the fiscal year July 2005 through July 2006, a total of $5,661.63 was awarded to Uptown Wadesboro business property owners or tenants for renovations at the following properties. The total investment made by these business property owners or tenants was $49,738.93.